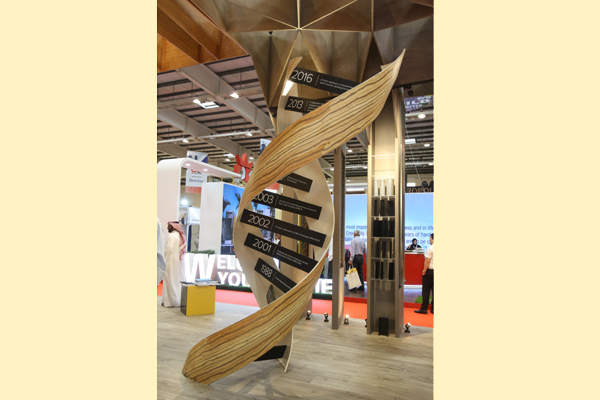 Bahrain-based Al Nooh Wood Design has won the Gulf Construction Expo Best Stand Award for the third consecutive year. The Northern Gulf’s showcase for the building and construction sector, Gulf Construction Expo (formerly gulfBid), will run from April 24 to 26 next year in Manama under the patronage of HRH Prime Minister Prince Khalifa bin Salman Al Khalifa, said the event organiser Hilal Conferences and Exhibitions (HCE). The Best Stand Award recognises the efforts and strategies of exhibitors to promote their participation at the Gulf Construction Expo through their stand designs, it stated. HCE's managing director Jubran Abdulrahman said: "Al Nooh Wood Design is one of Bahrain’s leading designers and manufacturers of custom wood exteriors and interiors. Its unique design scooped the Best Stand Award for the third successive year." Al Nooh beat off strong competition from RP Kingdom Projects, which came second followed by Paramount Doors in the third spot on Facebook polls. “Al Nooh’s intricate stand designs have been built by the craftsmen of the company, which is an example for all the visitors at the expo of the unparalleled skills of their workforce,” added Abdulrahman.